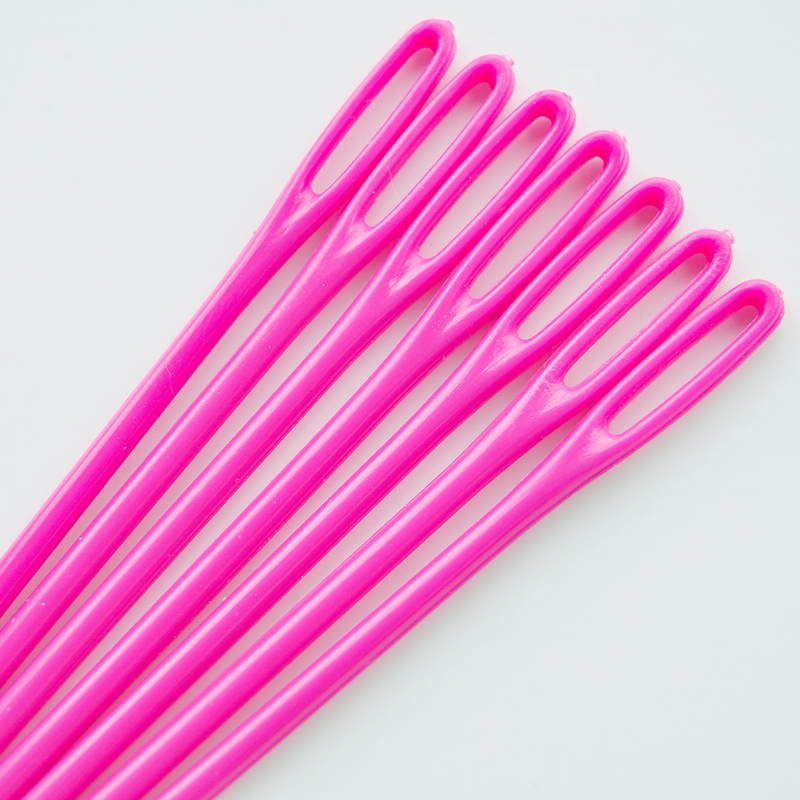 Plastic needles are ideal for children to use in all sorts of projects and are available in bright attractive colours: Red, Royal Blue, Lime Green and Bright Pink. They all have a large eye for threading yarn, soft cotton or embroidery thread and the blunt round points protect small fingers whilst sewing. Why not teach your child to sew …. just like mum. These needles are packed in either 250 pieces per colour or 1,000 pieces per colour for when a bulk purchase is required. Alternatively please see our individual packs of 2 assorted colours at £0.99 per card.